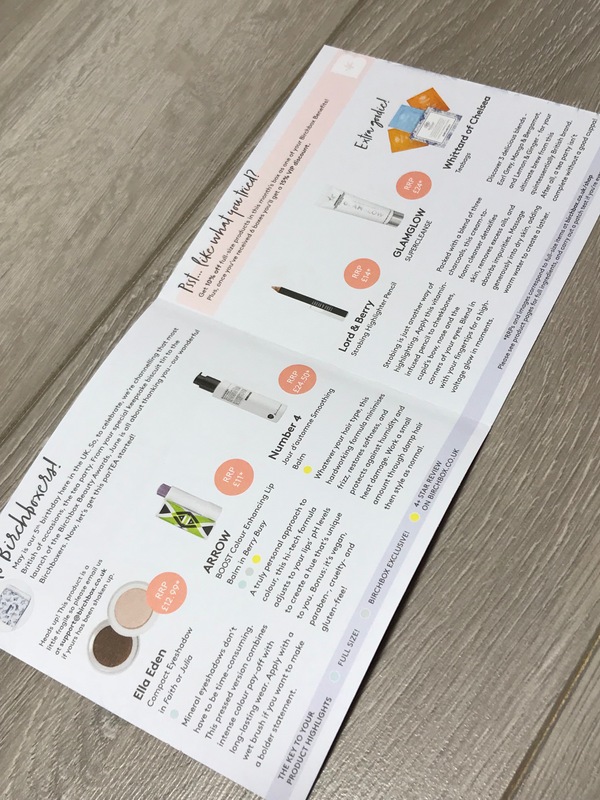 Although I only received my June Birchbox today, I am so impressed that I wanted to show you what I received as soon as possible in case you wanted to get one too as only available while stocks last. Theme of this month’s box is ‘The Tea Party’. 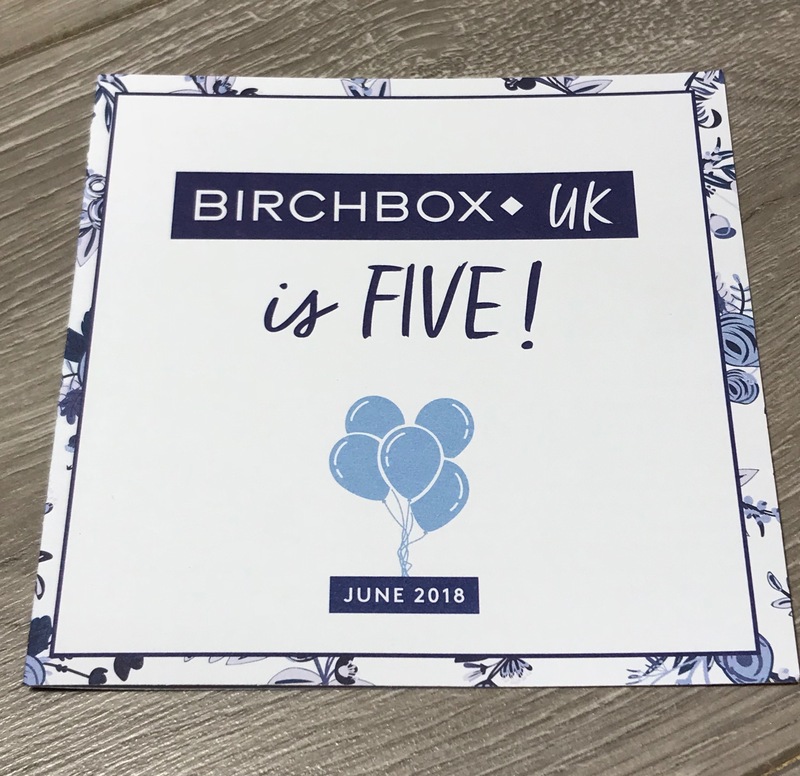 Birchbox were 5 years in the UK last month, their 5th Birthday, so hard to believe as I have been with them since nearly the beginning. Love the addition of the special keepsake biscuit patterned tin box this month – I think would be perfect for storing so much more e.g. perfume samples, any beauty samples, small crayons/colouring pencils etc – whatever you want really. 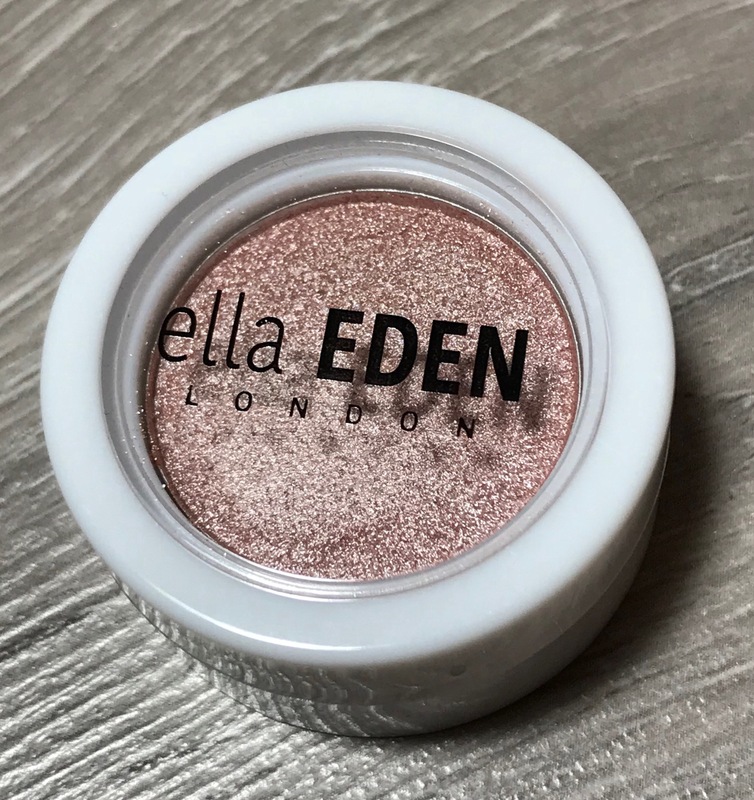 Ella Eden London Compact Eyeshadow – ‘Julia’ Full Size RRP £12.99– this is a beautiful pinky / peach colour and although a powder formula it has a creamy feel with a satin finish. 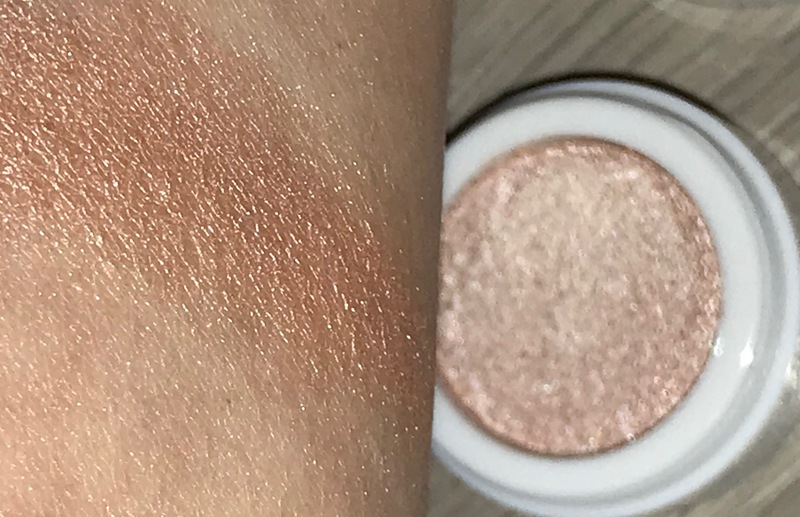 Although buildable it is a lighter shade, I have just used it once and it applies very easily and looks beautiful as a transition shade, although also would look good all over the eyelid, just under the eyebrow, inner corners of the eyes. I also have tried as a highligher too and looks good used that way as well. Initial thoughts are I definitely will use and happy with my choice, however not sure how long-lasting it will be – if I find it lasts well when I try for a longer period of time, will post a separate review. 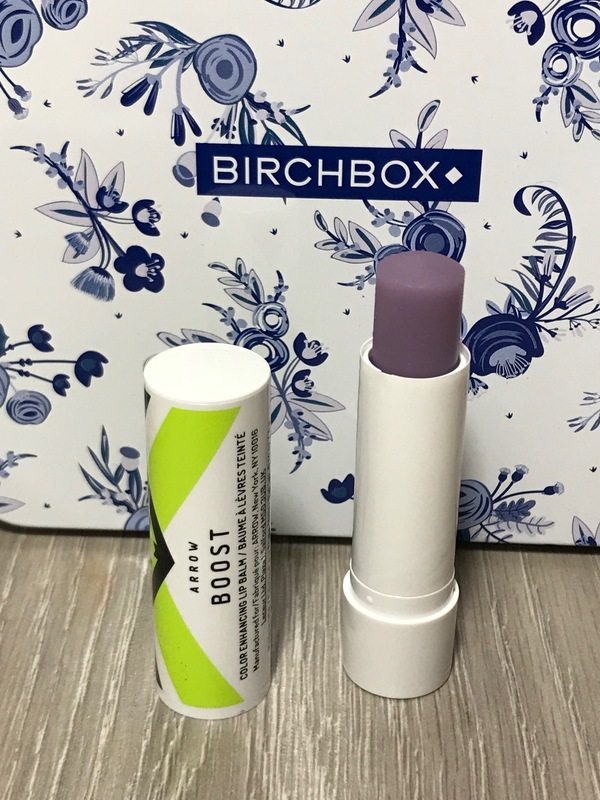 Arrow Boost Colour Enhancing Lip Balm (Berry Busy)– (Full Size) RRP £11 – another full size item, we are getting spoiled this month. As it is a colour enhancing balm it may look slightly different on everyone. On me it is a beautiful rosy pink colour. It applies really easily, feels comfortable – again not sure how long it lasts but at this stage still on my lips, looks like a lip stain now. I will also definitely use and already have in my everyday makeup bag. Not sure if I would pay the RRP price however if on offer would consider purchasing. Number 4 Jour d’automne Smoothing Balm (Sample size 30ml) Full Size is 150ml RRP £24.50 – I was happy to see this in my box as have tried products from this brand before and enjoyed using them and results were good. It is a creamy smoothing balm and smells beautiful, you are supposed to apply to damp hair but I applied a little to my finished style and it did smooth the flyaways and didn’t leave my hair looking greasy, I will use both ways and post a full review when I get a chance to try properly. Although this is only a sample size do not mind, as think will last for a while and perfect size for travelling. Lord & Berry Strobing Pencil (Sample Size 0.7g) Full Size RRP £14 – I do like lip products from Lord & Berry so looking forward to trying this too. It is a light highlighter and think more useful for inner corners of the eye/ underneath the eyebrows and top of lip. Do not think I would purchase but still will use. Glamglow Supercleanse Clearing Cream to Foam Cleanser (sample size 15g) – Full Size is 150ml RRP £24: I do like Glamglow Masks but have never tried this cleanser before. It has a medicinal type fragrance, grey, creamy, oily, consistency. It may be good for really oily skin or for round the nose area for anyone with combination skin. I have tried it once but my skin felt bit dry afterwards, not a fan of the smell either so do not think for me personally although will try few more times to confirm. An extra bonus item is included this month – 3 teabags from Whittard of Chelsea so a nice little extra (see below). 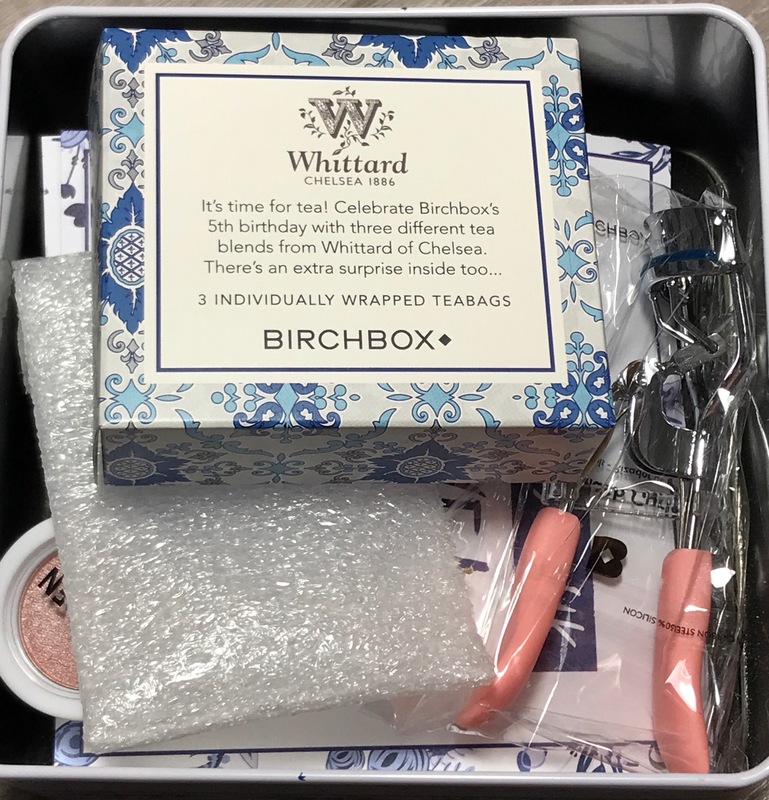 I also received Birchbox eyelash curlers, not sure if everyone received these as an extra as not on the information booklet but delighted to receive them. Really impressed with this months box – great selection of brands/items and the additional items are a lovely touch. The addition of the keepsake tin topped off this month’s ‘box’ perfectly. I think it is worth getting this month’s box if you can if you aren’t subscribed already. 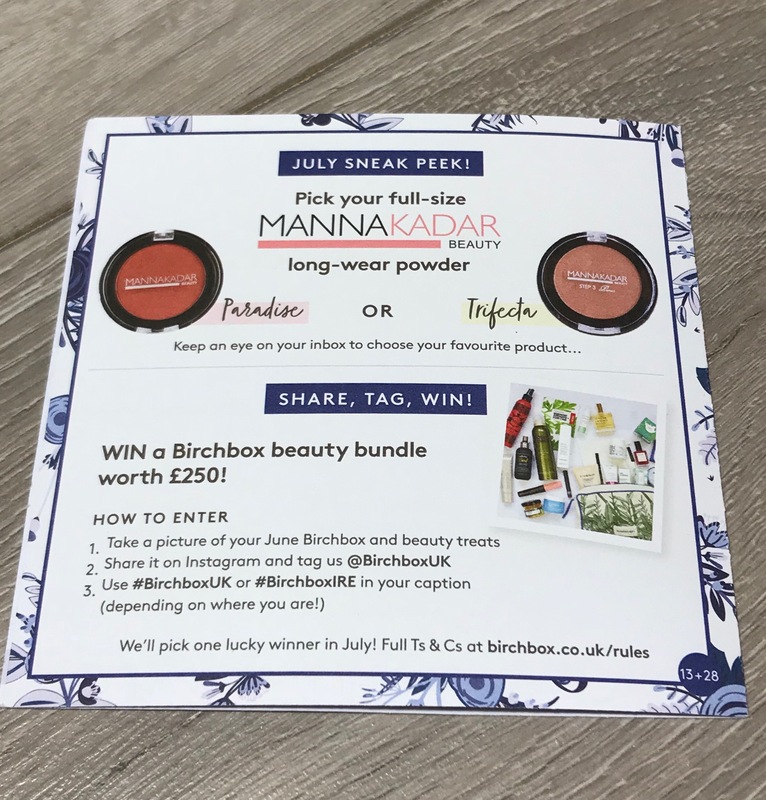 SPOILER: July Sneak Peek (below) is a Mannakadar Beauty Long Wear Powder in either Paradise or Trifecta – subscribers will receive an email to enable us to choose which colour. If you subscribe during June you will get a FREE Smith & Cult lip lacquer (worth £21) with your first Birchbox, while stocks last. You just need to use the code KISSES at checkout. Or just in case you prefer money off your box (do not think you can use both) you can get £5 off your first box – (box is normally £10 +£2.95 shipping – you will get for £5 +£2.95 shipping) by clicking link here and then copy and paste code at checkout to get your discount. Thank you in advance if you use this link. Look forward to any comments you may have – if you have received this month’s box would love to know what you thought, did you receive the same products as me in your box/’tin’? Hope you have a really enjoyable week. Hope you got the extra spice palette. Mine will be delivered today so I’m very excited. 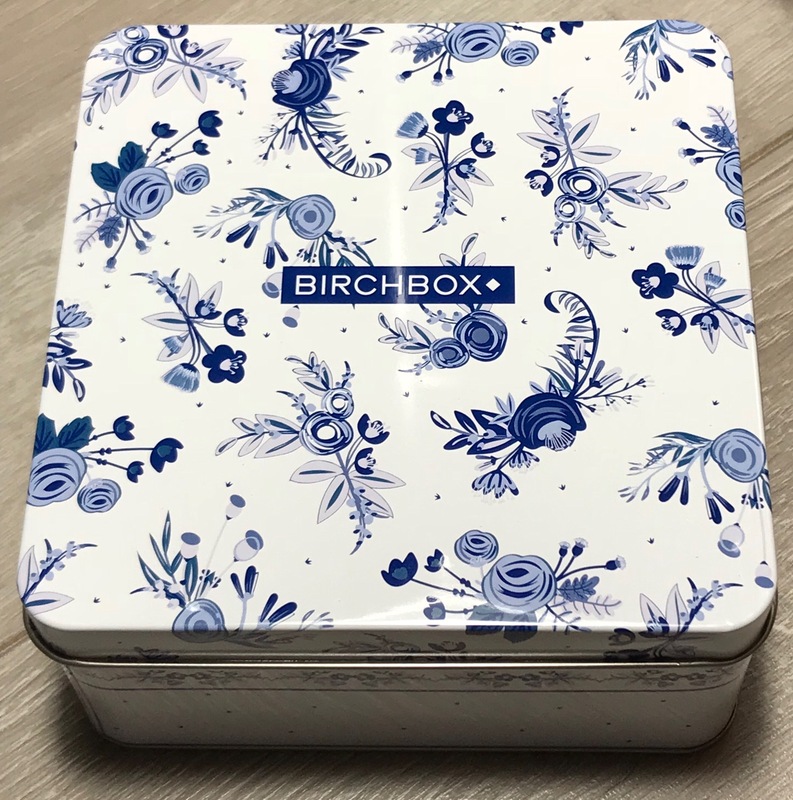 I like the Birchbox tin and tea, so cute and I must admit I’m impressed with the contents this month.